ClarkVision Photograph - So You Think You Have a Fly Pronlem? So You Think You Have a Fly Pronlem? 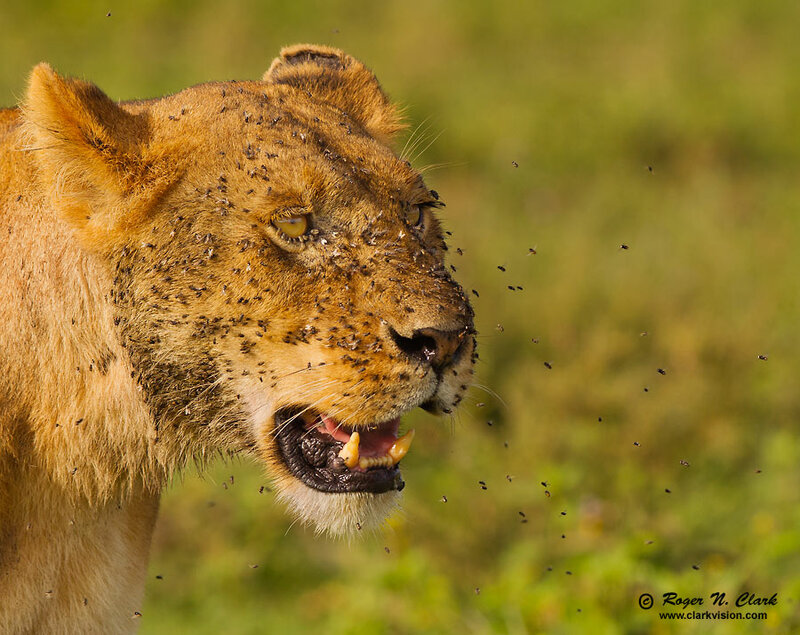 Lioness covered in flies after a recent meal. Note the line of flies at her eye drinking water from her eye! Technical. Canon EOS-1D Mark IV 16 megapixel camera, 300 mm f/2.8 L IS lens. Exposure: 1/1000 second at f/5, ISO 200.